Smart organizations plan their business objectives first with their Chief Information Officer (CIO) choosing a technology plan to fit those objectives. 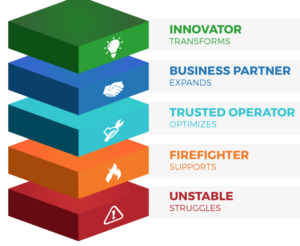 Which category would best describe your IT organization; Innovator, Business Partner, Trusted Operator, Firefighter, or Unstable? Our professionals can accelerate, simplify, and streamline a company’s overall use of technology and processes so your IT staff become Business Partners and Innovators. The increase in efficiency, cost savings, and innovation capabilities result in faster overall organizational growth and increased revenue. 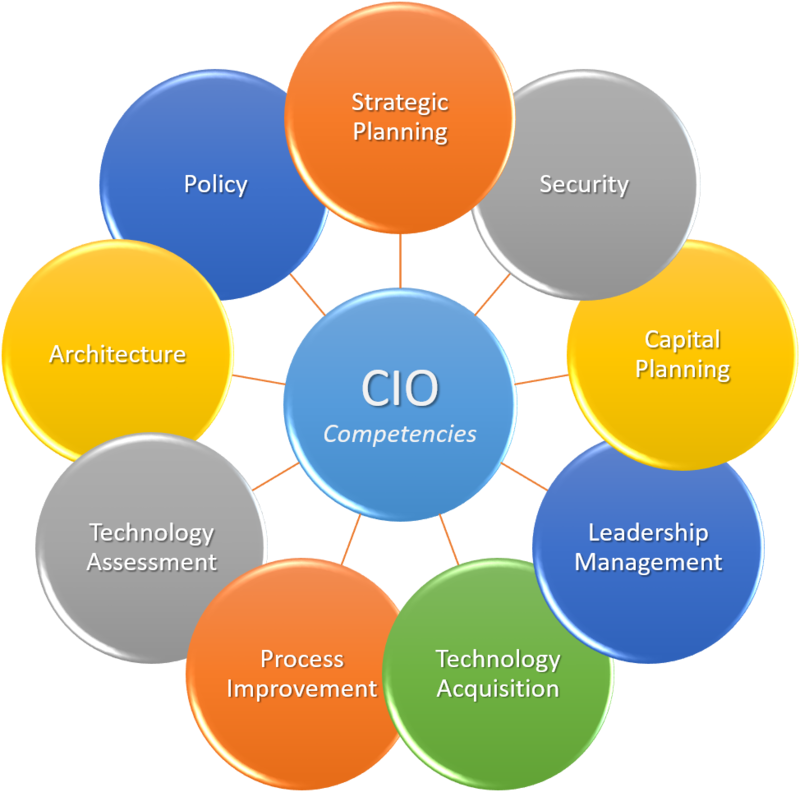 Question: How can vendors and service be managed effectively if your Virtual CIO is one of their resources? Effective IT management is crucial for the day-to-day functions of any company. Today's IT management is presented with managing complicated systems, and nearly 100% of their time is devoted to operational concerns. This leaves almost no time for long-term strategic planning, application architecture direction, integration planning, package software selection and more. This gap between senior management and Information Technology is where our CIO Services fit. A Senior Strategic Technology Advisor will help optimize your organizations IT operations, review vendor relations and provide guidance on contracts and service levels that will provide cost savings and efficiency gains, all the while working with your team and executive sponsors on innovations and optimizations that provide quantifiable results. The value add is found in efficiency gains, cost savings, visibility and partnership between business and IT along with process improvements.